Missoni Mare's swimsuit is crochet-knitted with an ample amount of breathable cotton, so you'll look and feel good lounging in tropical climates. It has a low scooped back and high-cut legs to create the illusion of a longer frame and is fully lined for added coverage. 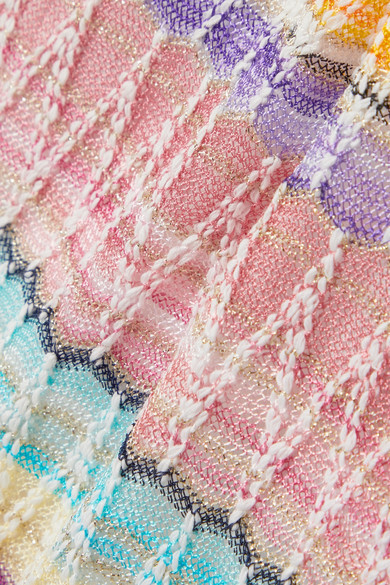 We love how the metallic threads glimmer in the sun. Wear it with: Marni Sunglasses, Jennifer Fisher Ring, Mounser Necklace, Chan Luu Cuff, Chloé Ring, Sophie Buhai Cuff.